Home improvement is ongoing for most of us. If you own a home that is 20 to 30 years old, or it's been that long since your last upgrade, you are definitely in the renew or upgrade zone. Even if it hasn't been 20 to 30 years, it may still be time for some renovations. I also do kitchens, solid wood flooring, and attic and basement conversions. 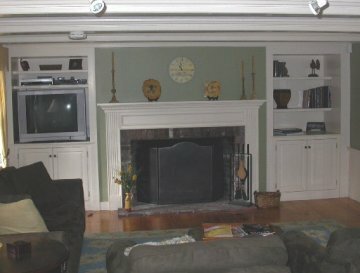 Here are some examples of my renovations. 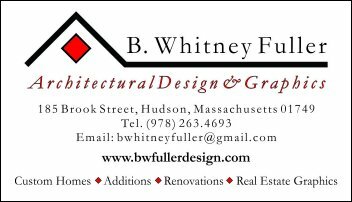 When design services are needed, I recommend B. Whitney Fuller. Kitchen cabinets are available in more places than ever these days. What does not always come with your cabinet package is a quality professional installer. Experience and finesse are what make your new kitchen look its best. I will come to your home to assess your kitchen project, make recommendations, and write a fixed price proposal for installation and associated work. I can install kitchens from any supplier. Today with pre-finished flooring available almost everywhere, it makes for a much easier process for the consumer (no sanding or finishing). 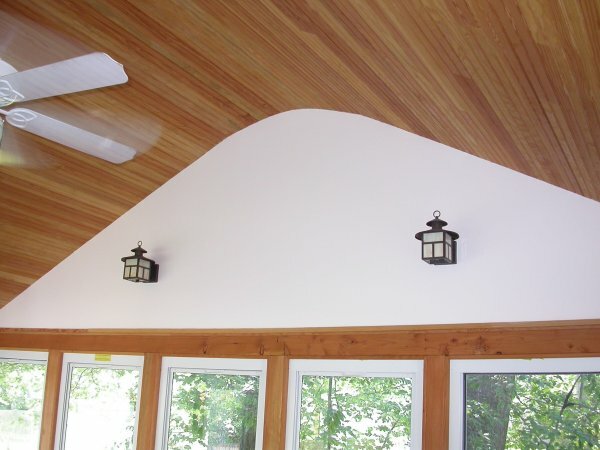 And for these materials to look their best, you need a professional, experienced installer. I will come to your home, assess the project with you, and then provide you with a written fixed price estimate. 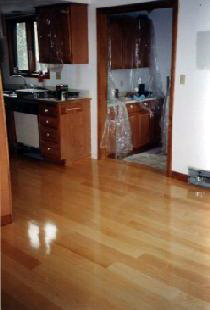 New England Hardwood provides an extensive inventory of wood flooring, all of which is on display. 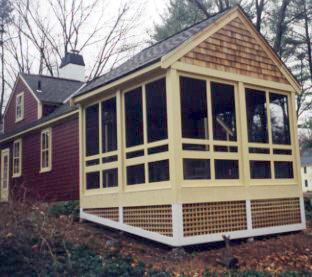 Many of the floors at New England Hardwood would never be found at home centers or lumber yards. Call 978-486-8683 (or 800-540-8683 in Massachusetts only) and ask for Chris. Attics and basements are often underutilized. 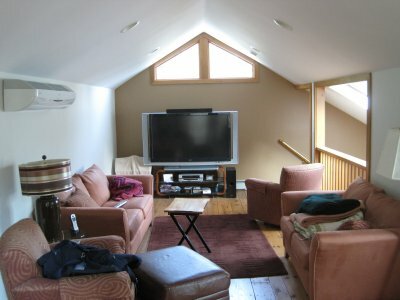 Let me convert your attic or basement into usable living or storage space. All of your basement, or just a small part of it, can be finished into a playroom, family room, or storage room, with plenty of shelving appropriately sized to store all of your "stuff." Attics also can be transformed into usable bedroom, play or office space. Just adding shelving in some of these spaces will greatly improve your ability to organize and increase your storage capacity.